Our hearing centre locations in Belfast and across Northern Ireland offer free hearing assessments, hearing tests and, if you are suitable, a demonstration of the latest hearing aids. 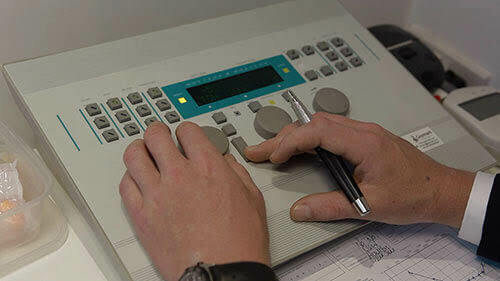 To do our job properly, we need first-class reliable hearing test results, so in order that we deliver the best help possible, we have made sure that we have state of the art hearing test equipment at our hearing aid centres in Belfast and across Northern Ireland. That equipment gives us the first class results that we need to deliver the best recommendations to our customers. Using internationally recognised, best practise processes we will ascertain exactly what is going on with your hearing and what is the best option for you.